Create a healthy eating schedule. Give your carbs a makeover. Reduce undercover calories in the “extras” you eat. Find the right fats and lose the bad ones. Curb sugars and salt intake. Stay healthy in social situations. There are so many reasons why I like this book but one of my favorite parts is that each chapter is filled with practical solutions for your food challenges. Not only does Keri provide ideas for what she does herself to be a fit RD, she also infuses solutions that have worked for literally hundreds of her clients that she’s counseled over the years. Limit your intake of red meat to two servings a week. Eat fish a minimum of twice a week. Aim for one meatless meal per week. In another chapter, Keri provides great tips on how to combat midday cravings with a few key strategies like eating protein earlier in the day to ward off cravings and be sure to identify your cravings, so you can satisfy it appropriately. Keri Gans, MS, RD, CDN is a registered dietitian with a private practice in Manhattan. She is frequently quoted in national magazines and newspapers and has appeared on many national TV programs including Dr. Oz, ABC News, Good Morning America and Fox News. 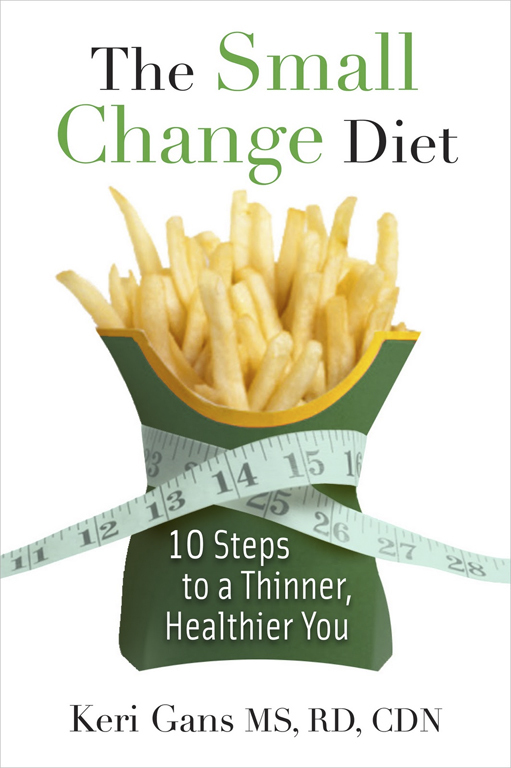 Ten lucky readers will win a copy of The Small Change Diet. To enter, “Like” us on our Appetite for Health Facebook page, sign up for our newsletter on our website and leave a comment below about why you want to read the book and what diet help you’re looking for. I would love to win a copy of this book because I need help reducing salt intake and curbing my sugar. I eat a great deal of fruits and vegetables, but I need help in other areas. I would absolutely LOVE to win a copy of Keri’s book! As a registered dietitian myself, Keri is a true inspiration to those in the health field and I would love to be able to learn more about her book so that I may use it to better serve my own friends, family, and clients 🙂 Thank-you for the consideration and keep up the great work with your wellness initiatives! Excellent pratical tips … Want to reference it for my students! I would really love to win this! As I get older, I am finding it harder to maintain my weight, even with keeping up exercise, so I’m sure this book would be so helpful!! My biggest diet challenges are carbs such as pasta, potatoes, rice, crackers, breads. I do well durig the week, however come the weekend I break down and let go completely of all willpower. Having lost 40 pounds, I still have 20 to go and could use some tools to get past the binges. I do follow on facebook and I receive the newsletter. I would love to win this! I am always looking for others advice and tips on keeping myself and my family as healthy as possible. There is ALWAYS room for improvement! practical and realistic tips are the keys to weight loss success. as a bariatric RD, this book can provide helpful tips in re-vamping my patients’ diets to also live a healthier lifestyle! LIKE on FB, I’m a subscriber; I would love to win this book like many of us are struggling besides with our weight issues and on top of that today’s health issues, we are always trying to educate ourselves on the latest diets, supplements marketable ideas on how to succeed in keeping our bodies in peak condition or to overcome our ailments. I believe this book could shed some light on these ever experiencing issues we have growing in our present to future to come. I am eager to read this book and educate others to overcome these obstacles and help others heal. I’d love to read this! I subscribe and Like you. I would love this book because I need help with maintaining a healthier lifestyle and eating habits. I find myself trying all sorts of diets and nothing ever works. From the brief description and tips you listed I think this book would be the thing to finally get me on the right track! I would love to read this book. I have made several lifestyle changes but could use more information and help to eat healthier and to become healthier. This would be a wonderful start, we have been looking for a new diet plan. Looks like a great plan for us to be on. I would love to win this book because I am always looking for ways to incorporate fish into my diet and maybe she gives some ideas on this topic! i need to read this book because not only do i hoard books (lol jk!) but i need some, err i mean many tips on how to curb some of my crazy hunger cravings into some healthy and beneficial to my diet and health. 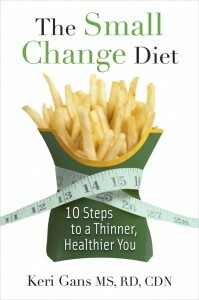 This book sounds like a REALISTIC and HEALTHY way to change your eating habits! I’m really looking forward to reading this book. I want to finally read a book with a breakdown of what we are all trying to accomplish as we mature with age and ailments. Trying better to heal ourselves naturally and learn as much as we can in a minimal time to live a healthier lifestyle rather than a diet. I’ve read many books to learn one or two facts out of a 168+ page books. I would love to win this book that appears to have a vast insight and factual information we are all looking for answers to to steer us in the right direction to our needs and more. Thank you for this announcement. I am a Subscriber and LIKE on FB. I would actually love to read this book. I have such a huge interest in learning more and more about health and nutrition in hopes of one day going back to school to become a holistic nutritionist. In the meantime, I try and learn as much as possible and I do my best to stay on top of new health information and become knowledgable in the newest diets. The biggest diet help I am looking for is how to create a healthy eating schedule esepcially for the weekends. During the week I practically prepare what im going to eat from breakfast to dinner so I know what Im having and it prevents me from snacking. But on the weekends, whether we’re running around or staying home, I have a bigger tendancy to snack all day on random things, or wait to eat until dinner when im pratcically starving and overeat. I just need to have better control of my weekends! I want to read the book because I think part of my problem is trying to make big changes is difficult. A book that outlines small changes I can make will hopefully help me to make bigger changes regarding my diet and exercise routine. Diet help I’m looking for is how to make the change from eating whatever to eating more healthy. It’s not that I don’t like things like fruits, vegetables and fish but for some reason I can’t seem to make healthy foods a regular part of my diet. It doesn’t help that I love to bake & eat bread. and that’s not something I think I should give up completely but I do want to make it a part of a healthy diet. The winners are Christina, Beth M, Andrea H., Donna L. Shenetta, Shannon M. , Ingemar, Kristin D, Priscilla and Jennifer F.
You’ll receive an email from us offline to claim your prize. I would like to have this book because I’m a diabetic, also have high-blood pressure, had high cholesterol and triglycerides. I always like to shake things up and sometimes don’t know what to replace certain foods with. I have found that small changes work best, but would like some more ideas. Would love to win a copy, I really want to lose weight and make some changes for myself this year.